Snooper 1.44.7 - по-тихому пишет все звуки улавливаемые микрофоном в помещении во время вашего отсутствия. Когда в помещение тишина или звуки не определяются как речевые, она тихо спит. Делает отметку на записанных MP3 -файлах о времени записи. Выполнив заданный Вами, объем записи программка также по-тихому скинет на указанное мыло все, что она услышала вокруг интересующего Вас компьютера. Категории и теги: Программы » Офис Программы » Скачать, Snooper, Запись, Звук, Микрофон, Шпион, Окружение. • Recordings are activated by detecting the incoming sound level. • Auto file naming feature allows you to save files with fixed prefixes and date/time. • Sound activated recording mode where all recordings are collected is a single file. • Optional marker tone between recordings. Great for scanner and dictation recordings. • Record sounds before and after the trigger sound! • Snooper records to disk using fast and compact MP3 technology. • 1 Hour of recording take up less than 4 MB. • Snooper can send the recording by e- mail automatically after a recording or be created manually. • Snooper can start and stop recording at any time you set. • Most functions can be called up with a simple mouse click or through the tray icon menu. • Snooper can hide itself from taskbar and tray meanwhile recording covertly. • Snooper has a lot of settings and adjustment to make the recording suite your needs. • Snooper can record on the fly for as long as you like without interrupt. 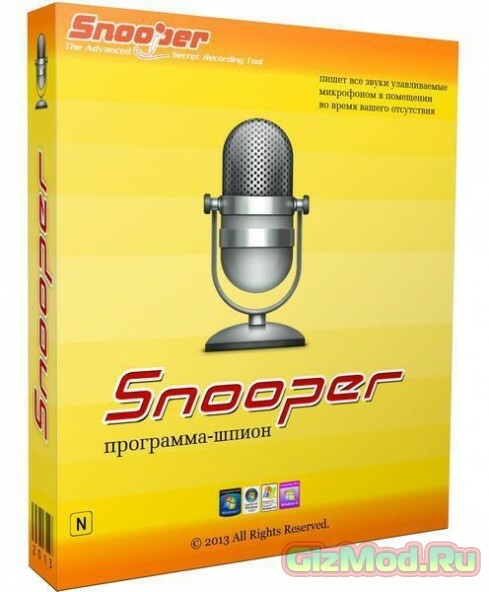 • Snooper can record and encrypt the sound files for secure transfer over internet. ScreenPresso 1.6.8.5 - лучшая программа для скриншотов.